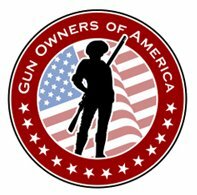 ← What the Media Says About GOA; “Gun Owners of America”; Reason to Support! In yet another embarrassment for the gun control lobby, a government investigation of online gun sales designed to determine “whether private sellers would knowingly sell a firearm to an individual prohibited from possessing one” determined that … no, actually, they would not. Another Liberal Lie being disproved easily and often. The Left continues to their “ASSAULT on GUNS”. This entry was posted in 2nd Amendment, Anti-Gun, Gun Control, In the News, NRA and tagged 2A, 2nd Amendment, acts of violence, Anti-Gun, Crime and Justice, Crime Statistics, Gun Control, Gun politics, gun rights, Gun violence, National Rifle Association, NRA, pro gun, Pro-Gun Rights, Right to carry, Right to keep and bear arms. Bookmark the permalink.